Oh my. What a nice bounce back performance for the Colts offense. I say offense, because that defense is still atrocious. If not for the forced fumble by Freeney I think that game ends up different. But that’s football right? I would like to thank Adam Vinatieri for scoring on all of his chances including what ended up the game winner. He served two of my teams well on Thursday night. Moving right along, here are some sleeper picks to start in week 14. Most of you are probably in the playoffs, so gambling on these guys will take a lot of guts but it all depends on who you’ve got currently going. If you have questions, lay them out here to discuss. Granted I haven’t been great at picking starters recently but that’s all changing this week baby! 1. Seyi Ajirotutututututu: With Floyd, Crayton and Jackson still ailing, I believe the Chargers are going to come out firing on all cylinders after that embarrassing performance in week 13. And I also believe Seyi is the one to benefit. Gates will be on the field and garnering a lot attention. Seyi will break off one or two big plays in this game. 2. Jonathan Stewart: After two solid weeks he faces a stout rushing attack in the Falcons. So some owners will be hesitant because the Falcons should be up big in this one and force the Panthers to throw. I don’t believe so. I think Stewart will be a big part of the game-plan early and often, rushing and receiving. I’m not certain how bad Goodson, was hurt in week 13 but that makes Stewart much more valuable going forward. 3. 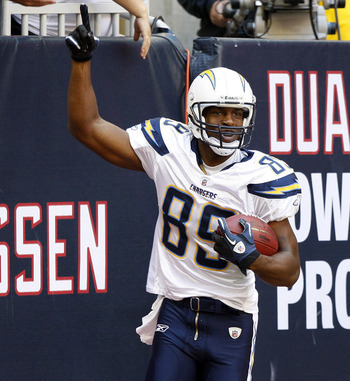 Anthony Armstrong: He’s more consistent than Santana Moss of late and is still getting huge plays on a weekly basis. Look for more of the same this week with hopefully a long score! 4. Ben Watson: A little up and down for the season but still the number one receiver on the Browns. In a year where the TE is so inconsistent, you could do much worse. 5. James Starks: Here’s your chance to take the starting job Starks. Going up against my beloved Lions, you will have a shot at breaking a big one. Can you capitalize? 6. Deon Butler: With Mike Williams and Ben Obomanu dealing with injuries and not practicing thus far, Butler could be the #1 receiver vs the 49ers. That doesn’t mean a whole lot, but I would say he’s flex worthy if Big Mike and Ben are inactive. 7. Jason Campbell: Looking at the stats, this is a good matchup for the Raiders QB. The Jags are the 27th worst DEF against the pass, so Campbell should be money in the bank… right? At the very least, he’ll dump off to McFadden to get YAC. And Jason, is always a threat to run one for himself. 8. Denver DEF: If you have been following the comments, I and some other posters have agreed that Denver deserves a look this week. Up against the Cardinals is good enough, but up against the Cardinals and rookie QB Skelton? Too good to pass up! If Champ can shut down Fitz like he handled Bowe in week 13, this might be another long day for the Cardinals. 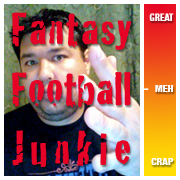 Good luck everyone and may the fantasy gods bless your teams with plenty of points! Nice Work Junkie as always. This site is Gold for anyone needing flex option and match up help. I have a legitimate chance of winning all my football leagues this year and I give you some of the credit because you’ve been great for bouncing ideas off of. This site has turned into my think tank..lol For realz thanks.. Thanks Frog, I appreciate it. And thanks for chiming in. It’s always a lot of fun actually talking about match-ups and roster issues with other managers. I’m asking this for a buddy of mine actually. Out of these three running backs. Torain, Best andDixon. I told him that if he had to choose 2 of them today that he should go with Dixon and Best. Not that I like any of the three that much this weekend…What are your thoughts? I would say go with Torain and Dixon. I love me the Lions and the prospects of Best in the future but I can’t start him yet. This is also based on Torain practicing today and word out of the Redskins camp, is that he’s ready and looks good. So if your buddy can actually monitor the pre-game active/inactive list make sure Torain is a go. Hey Frog, just curious which way he went. Torrain is going off today! That’s too bad Frog. Maybe next time, he’ll listen to ya. Yeah, the Denver D is just that bad! I thought they would pick it up like Dallas and Minnesota did when they lost there respective head coaches. So much for that. PS: Go Lions!! I pick them to win in a football pickem game. I may have to adopt them as my fav under dog team and I see a good season ahead for them next year. I say they draft or trade heavily for cornersbacks and D and maybe pick up thomas jones for next season if they can to help stabilize that running game. Yes, GO LIONS! Oh man that was sweat. First divisional win since Oct. 2007. How sad is that. Oh well, we got the W and it’s off to Tampa in week 15. I like the idea of getting Thomas Jones, he could also help mentor Best and the entire offense for that matter.